The Patong Merlin Hotel Phuket is ideally located only a few minutes walk from the heart of Patong, Phuket's main tourist destination. This 4 star Resort is perfectly situated directly across the road from Patong Beach and within walking distance to all the restaurants, shopping and nightlife of Bangla Road. The Patong Merlin features beautifully landscaped gardens and 4 large swimming pools and pool bars for all to enjoy. 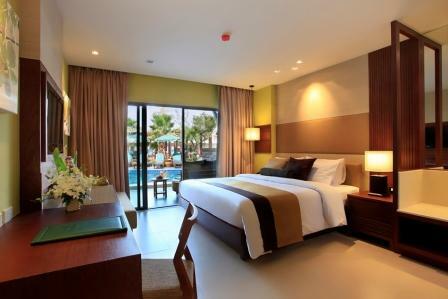 The Patong Merlin Hotel Phuket has well presented rooms and suites. 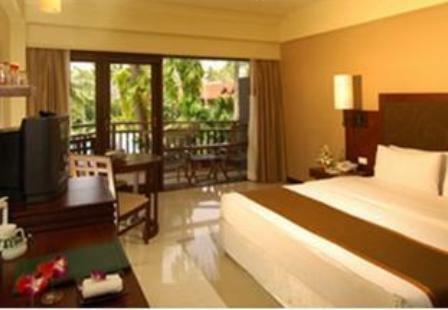 All rooms and suites at this child friendly resort have a private balcony and are air conditioned. 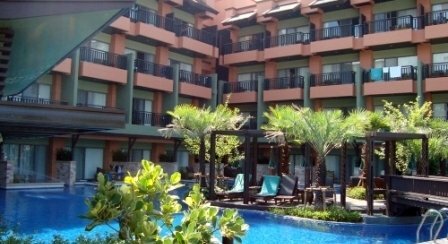 The Patong Merlin is a great spot to spend a family vacation, the room rates are very reasonable taking into consideration the fantastic location. Standard rooms are fitted out with a choice of one king-size bed, two single beds, or one king-size bed and a single bed. The rooms with one king-size bed and a single bed only have a shower. Deluxe Pool View Rooms are located in the new wing of the resort, with views overlooking the pool. Each room features a bright and modern bathroom with a separate shower and bathtub. 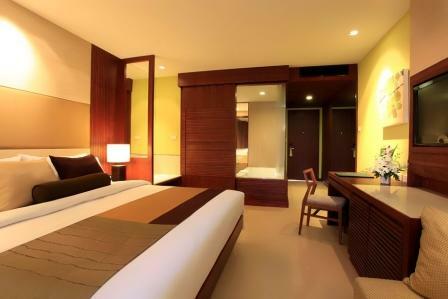 The rooms have either one king-size bed or two single beds, with interconnecting rooms available on request. Pools Access Rooms are located on the ground floor of the new wing, offering direct access to the swimming pool. These modern rooms are fitted with a king-size bed only and are perfect for romantic getaways. Due to safety reasons, the resort will not allow children 12 years and under to stay in the pool access rooms. Junior Suites have views overlooking the pool and consist of a bedroom with a king-size bed, a separate living room and a bathroom. 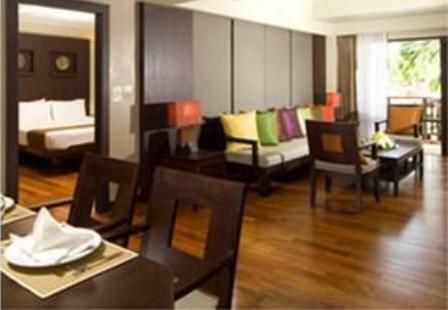 The suites are ideal for families as they can be connected with a superior room providing lots of extra space. There is also a good variety of indoor and outdoor eateries at the Patong Merlin Hotel, including themed buffet dinners at the Seaside Terrace. The Patong Merlin Hotel Phuket has a shuttle service that guests can use to visit the resorts sister hotels. 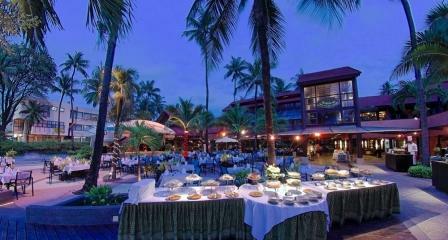 Those being the Merlin Beach Resort at Tri Trang Beach and the Phuket Merlin Hotel in Phuket Town. If you stay at the Patong Merlin, I would definitely recommend that you spend some time at the Merlin Beach Resort, the kids will love the pools and you get to check out Tri Trang Beach or take a short walk to Tri Tra beach. Conveniently located close by the Patong Merlin is the Otop Markets, JungCeylon shopping mall and plenty of fantastic restaurants, bars and 7 Elevens. The Patong Merlin Hotel is good for families with older children and very good for families with younger kids, read hotel reviews from other guests who have enjoyed their family vacation at the Patong Merlin in Phuket. Or read what other travelers have said about their holiday at the Patong Merlin Hotel Phuket on TripAdvisor.